All cuisines have their most popular dishes. English food is famous for fish and chips, Italian food is known for its amazing pasta dishes, and the Middle East is famous for hummus. But, of course, there's a lot more to all the world's cuisines. So below you will find the most popular and widely recognized Middle Eastern dishes and their recipes. For an added bonus, check out the ​Middle Eastern Food Gallery, where you'll find enticing photos of new and favorite dishes! 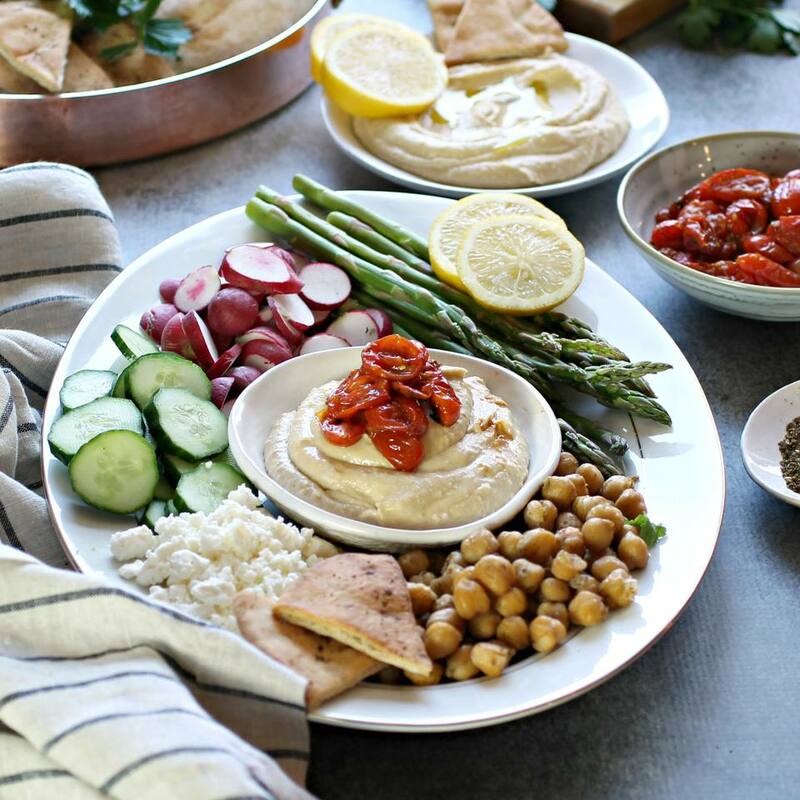 Starting with probably the best known Middle Eastern food, hummus is a mashed chickpea dip made with tahini, olive oil, garlic, and lemon juice. It is an enticing appetizer, served with pita bread and vegetables but also amazing as a sandwich spread. A virtual tie for popularity, fame, and frequency of use is tahini. The sesame paste is a foundation for many good Middle Eastern recipes. It can be an ingredient, a dip or a spread and is used in both sweet and savory dishes. If you ask someone to name the most famous Middle Eastern food and their answer is not hummus, then it's almost certainly going to be falafel. This widely recognized staple is a fried ball made of chickpeas, onions, and spices. It is served both as an appetizer on a mezze platter or as the protein in a vegetarian meal. Falafel makes a great sandwich inside pita bread with Israeli salad. Tabouleh is a salad that is made with cracked wheat (also known as bulgur wheat), mint, parsley, and vegetables. It's served both as an appetizer or just a great light and healthy lunch. Pita bread is a staple in the Middle Eastern diet. It is served with just about every meal. Warm, toasted, stuffed, or dipped, pita bread is the most versatile food in Middle Eastern cooking. It's easy to make, too! In the Middle East, baklava is often pronounced baklawa. The spelling may be different but the tastes are very similar. The Greeks use honey, while, in the Middle East, orange blossom or rose water is commonly added to the sweet syrup. This delicious dessert may be time-consuming to prepare, but well worth the effort! Baba ghannouj is a vegetarian favorite. 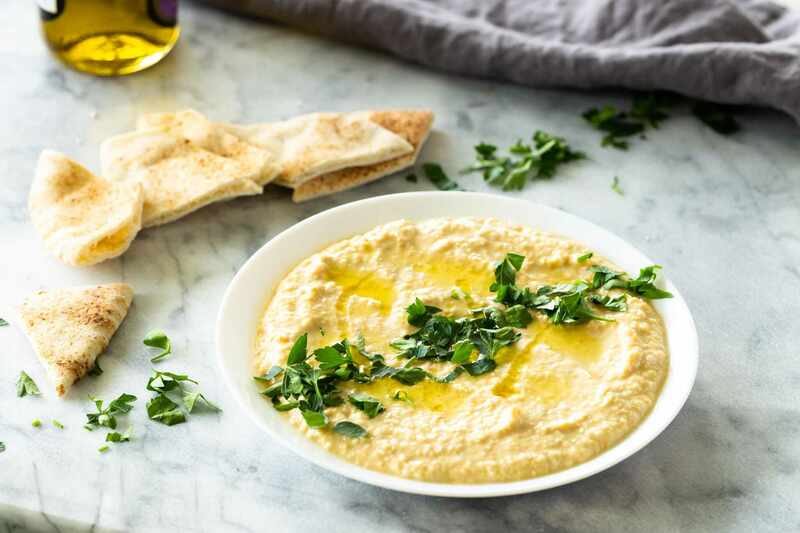 It's a smooth and creamy dip made with roasted eggplant and tahini, ideal for dipping pita bread or vegetables. Middle Easterners like their coffee strong and Turkish coffee is likely to be the beverage of choice. It has a bold, rich taste with a hint of cardamom. Prepared carefully in an ibrik, it's allowed to sit for a minute before serving to allow the coffee grains to fall to the bottom of the cup. According to a Turkish proverb "coffee should be black as hell, strong as death, and as sweet as love". Turkish Delight ​is the quintessential candies (also called lokum) in the Middle East. Made simply with sugar and cornstarch, they're addictive and irresistible!